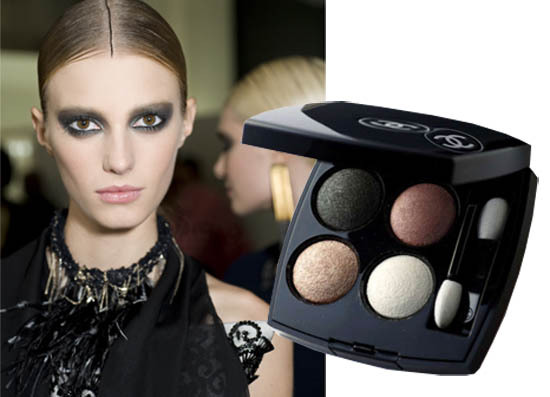 Save your pennies for January 28th when Chanel's spring launch, Les Perles de Chanel hits counters. It's a good'un. 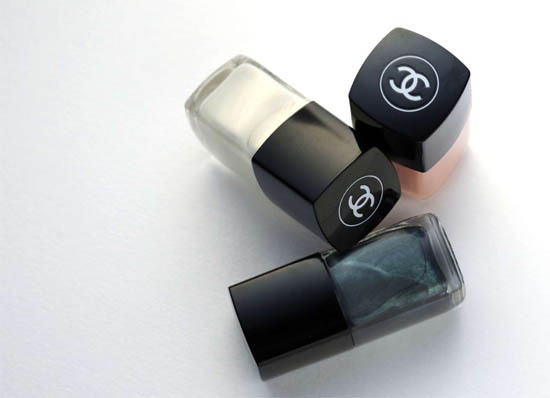 Inspired by one of Coco Chanel's favourite accessories, pearls make frequent appearances in Chanel fine jewellery and makeup director Peter Philips has taken inspiration from their iridescent reflections for the forthcoming spring makeup products. 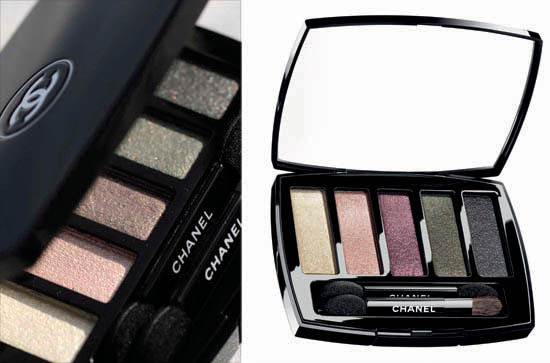 This is the limited edition star of the show and it's the Ombres Perlées de Chanel Eyeshadow Palette. It's €50, and contains five iridescent shades with a cream texture. Shades are Blanc perle, Rose porcelaine, Violine clair, Gris vert and Gris noir scintillant. More shadow shades will be available in the form of one of the brand's Les 4 Ombres. 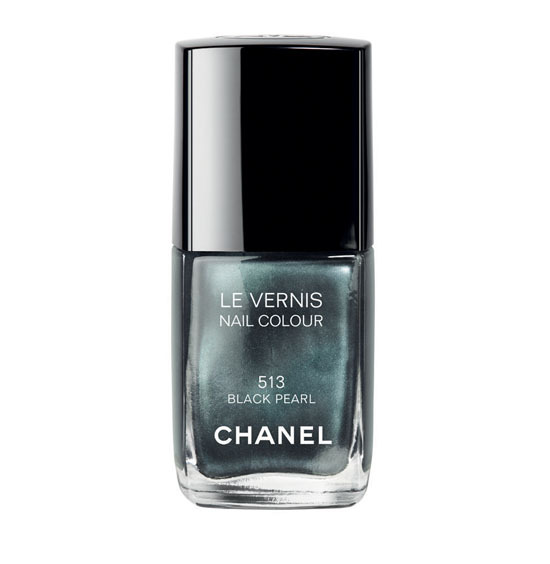 This is Regards Perlé and it'll be €45.50; above you can see how it was used for the Chanel SS11 ready to wear show. Gorge, eh? Two types of lippie are also incoming. A Rouge Allure duo in shades Flamboyante and Coquette will be €28.50 each. 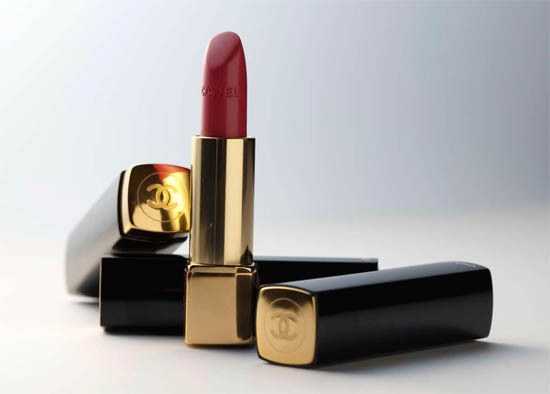 Rouge Coco will also come in two new shades, Jersey Rose and Peregrina, €25.50. 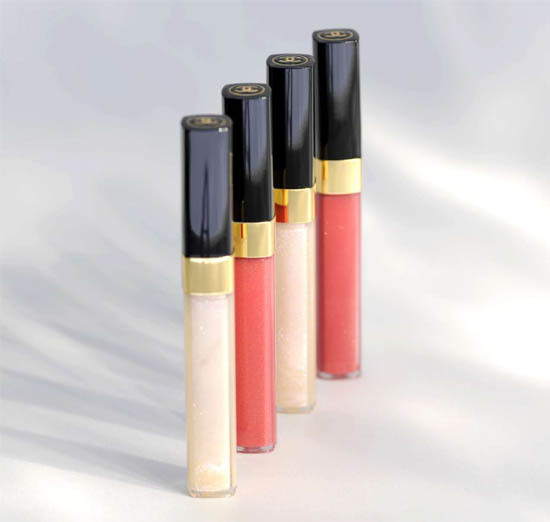 That's not all there is for lips - there'll also be two Lèvres Scintillantes lipglosses for €24.50. Say hello to Nakkar and Argonite. Ah, I won't tease you any longer - on to the thing you all really want to see; the nail shades. Three will debut: Pearl Drop, Black Pearl and Pêche Nacrée. €21's the damage, and lets take a little look at the star of the show, shall we? Someone alert Captain Jack Sparrow: Black Pearl is wickedly gorgeous. Totally my type of shade, I cannot wait to try this. After that excitement there's just a couple of face products to take a look at. 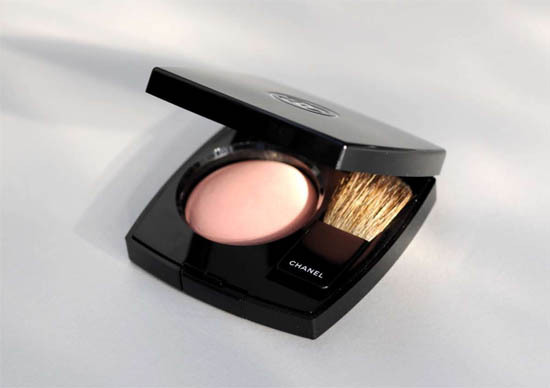 Poudre Universelle Compacte, €37.50, can be seen in part in the top image and is a complexion enhancer that will come in a limited edition shade, Rose Merveille. Also above is Joues Contraste, €36, in Espiègle. These blushers are amazing: deeply pigmented and very smooth, they're a dream to use. This one looks incredibly pretty. 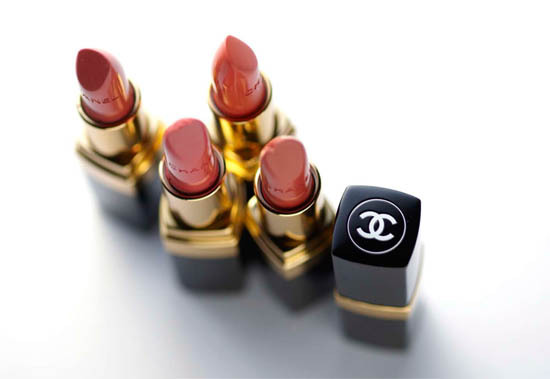 I've no pix but there are two pencil products also part of the Les Perles de Chanel lineup. Le Crayon Lèvres is €20 and will be available in Framboise and Pêche; Le Crayon Yeux will come in Gris Scintillant for €19.50. What do you think - does anything appeal? Me? Oh, I'll take the lot.